For background on this campaign, see the Palo Alto Networks Unit 42 Blog: "Blank Slate" Campaign Takes Advantage of Hosting Providers to Spread Ransomware. I wrote a follow-up for the Internet Storm Center (ISC) titled: "Blank Slate" malspam still pushing Cerber ransomware. 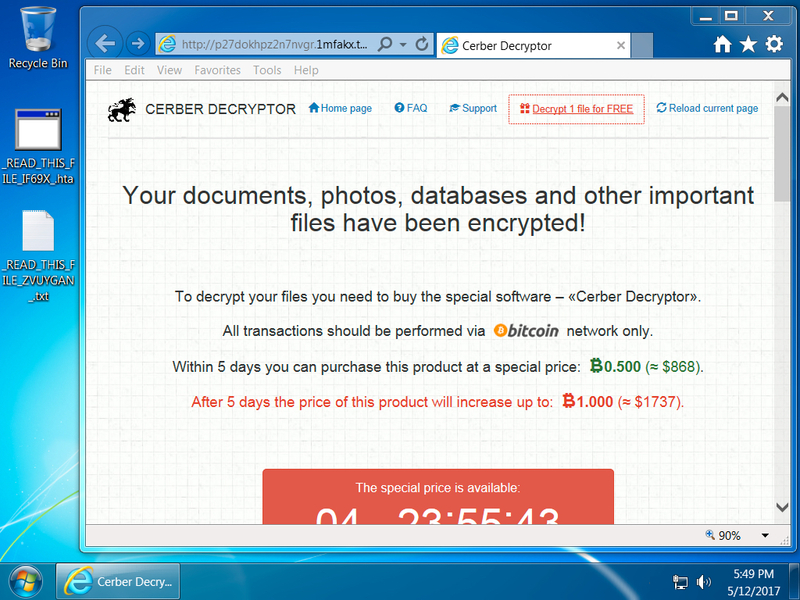 Just the usual Cerber ransomware from this campaign. Only saw zipped .js files as attachments so far this week. Shown above: Screenshot of spreadsheet tracker (1 of 2). Shown above: Screenshot of spreadsheet tracker (2 of 2). Shown above: Desktop of a Windows host infected with one of today's Cerber ransomware samples.